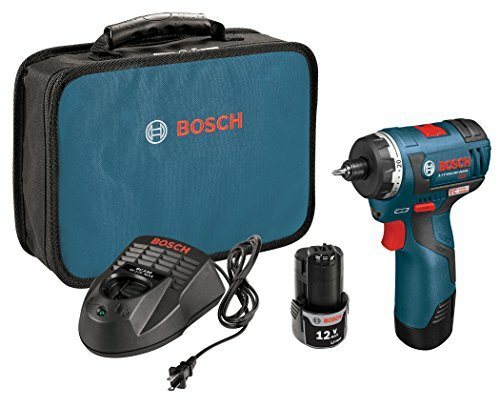 Bosch proves good things come in small packages with the introduction of its new 12-Volt max brushless drill/drivers. The PS22 1/4-Inch hex drill/driver is the lightest, most compact tool in its class, offering unmatched ease of use in extended applications. Featuring the innovative EC brushless motor with an all metal gearbox and improved electronics, this 12V max pocket drill/driver delivers increased runtime and boasts twice the life of previous generations. The lightweight PS22 is the tool of choice for professionals who perform continuous overhead work. In fact, at 1.6 pounds, this tool weighs up to 45 percent less than competitors. The PS22 also delivers optimum performance when utilized in corners or other confined spaces. With a head length of 5-5/16-Inches, this drill/driver is the shortest in its class. This compact drill/driver features a 1/4-Inch hex head that allows for quick and easy bit changes and a four-piece bit tip set and a magnetic bit holder, making it easy for users to store and access their most commonly used bits. For increased versatility and control in drilling and driving applications, the PS22 can operate in two speeds: 0-400 RPM and 0-1,300 RPM. The PS22 is also equipped with a built-in LED light, which can be used to illuminate any working area. The PS22-02 includes two 12-Volt max 2.0-Ah batteries, a magnetic bit holder, four-piece bit tip set, a belt clip, charger and a soft carry case. 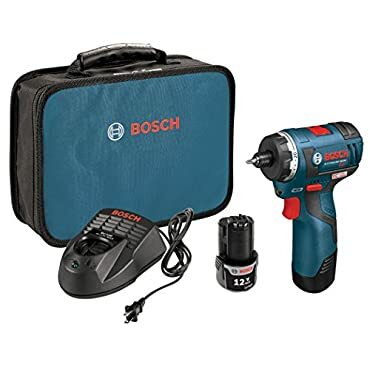 Bosch PS22-02 12-Volt 1 / 4-Inch 2.0Ah Max 2-Speed Brushless Pocket Driver Kit -- Authorized Bosch Dealer + Full Factory Warranty!! !